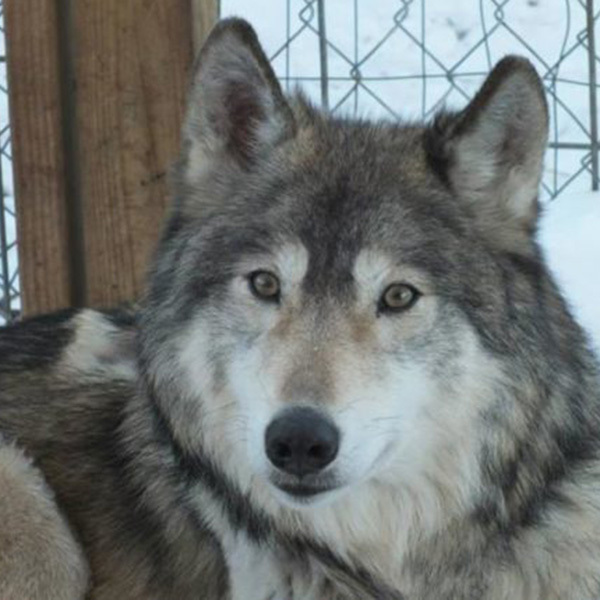 Having lived the first year of her life underneath a porch, Maggie was rescued and kenneled at an east coast wolfdog rescue where she was brought to health and spayed. Maggie ​was then taken ​in​to​ the care of a military couple, who would become Maggie’s owners for the next 4 years. ​At 6 years old, Maggie’s family ​was deployed ​and Wolf Connection was honored to help Maggie in her continued healing as a wolfdog – to begin a new life with a safe, healthy pack that can be trusted and bring infinite joy.